Minnie was one of Australia’s top female contemporary Indigenous artists. Her paintings are loved for being so modern in style and yet so traditional and raw in subject. Minnie’s art is in major public collections such as the National Gallery of Australia in Canberra, Art Gallery of NSW, Art Gallery of South Australia and National Gallery of Victoria. Minnie Pwerle was a highly coveted Australian Aboriginal artist. She came from Utopia, Northern Territory a cattle station in the Sandover area of Central Australia 300 kilometres northeast of Alice Springs. Minnie was one of the traditional owners of Utopia station recognised in the 1980 Indigenous land claim made over the property, her country was known as Atnwengerrp. Minnie began painting in 2000 at about the age of 80, and her paintings soon became highly sought-after works of contemporary Australian Aboriginal art. In the years after she took up painting on canvas until she died in 2006, Minnie's works were exhibited around Australia and collected by major galleries, including the Art Gallery of New South Wales, the National Gallery of Victoria and the Queensland Art Gallery. 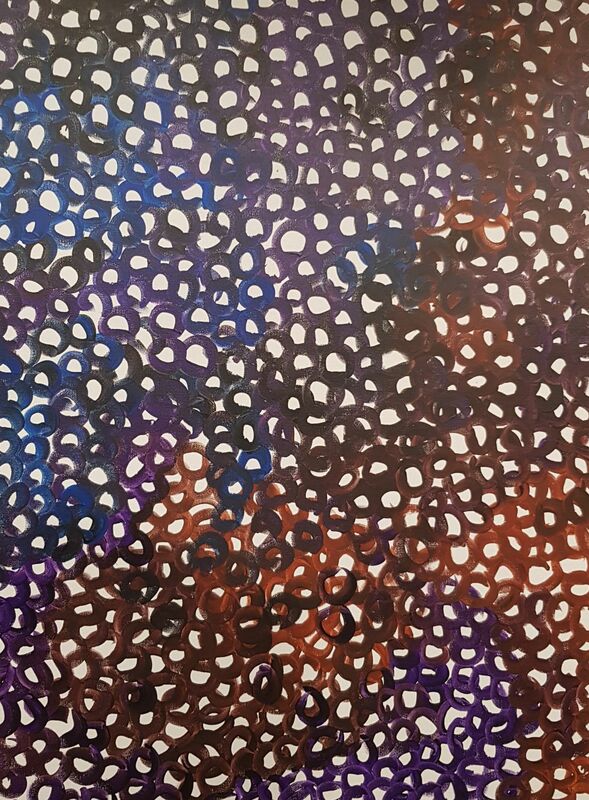 Minnie's work is often compared with that of her sister-in-law Emily Kame Kngwarreye, who also came from the Sandover and took up acrylic painting late in life.